If you have a warrant out for your arrest, you might wonder if there is a way for a bail bondsman to help you to avoid being booked into jail to await trial. There are certain instances where a bondsman can help to prevent you from being arrested. However, it is important to note that this is not always the case. You may worry that you are stuck and just have to play a waiting game until you are finally caught by law enforcement, but you can take proactive action in these matters. You can turn yourself in to the jail. While there, you may be arrested and booked to wait for a bail hearing. If there is a bail amount that is set on the warrant, you can pay the full amount of the bail, often called a cash bond, when you turn yourself in to avoid arrest and detainment. Your other option is to hire a bail bondsman to secure a bail bond, often referred to as a surety bond. In order to secure a surety bond, you will pay a qualified bondsman a fee that is 15% of the amount of bail. Either the accused or the co-signor for the bond will have to put up enough collateral to cover the full amount of bail. Once the agreement has been made, the bondsman will pay the entire amount of bail that was set on your behalf. If you can secure the bond prior to turning yourself in, you may avoid arrest. If you are waiting in jail, the release process can begin once the bondsman posts bail. Why hire a bail bondsman if you have a warrant? Quite possibly the biggest reason to hire the services of a bondsman is to avoid spending time in jail. This way, you will not have to miss work or let the matter potentially affect your employment. You can be home with your family to better manage your obligations and to make arrangements to deal with your legal matters. A major advantage of hiring a bondsman rather than paying the full amount of a cash bond yourself is that you only have to pay 15% right away. This leaves the rest of your finances available to hire an attorney and to otherwise prepare your legal defense strategy. When you come to Las Vegas, you are generally planning for some fun and do not anticipate spending time in jail. 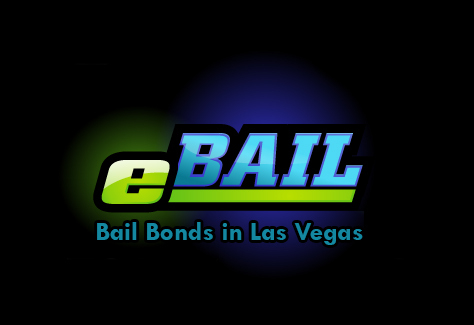 Make sure that you get the assistance you need from a knowledgeable bondsman with Marc Gabriel from eBAIL. We have gained the trust of many top attorneys, who refer their clients to us on a regular basis. Fully insured and BBB accredited, we take your freedom and your confidentiality seriously. We will work quickly to make sure that bail for you or your loved one is paid promptly to begin the release process. If you do not have the full 15% of the bail amount right away, we can work with you. With little to no money down, we can set you up with weekly or monthly payment arrangements in order to get the bond settled without delay.